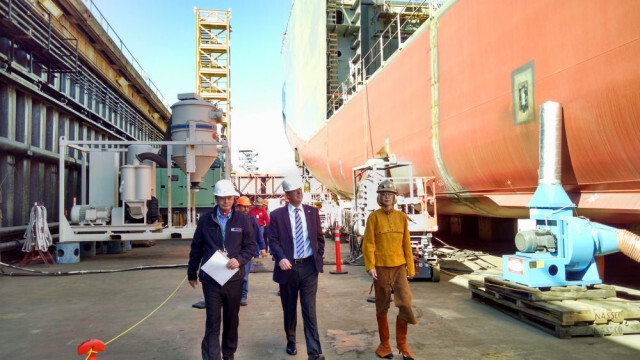 San Diego Mayor Kevin Faulconer and his wife Katherine led the traditional keel laying ceremony for the first of a fleet of fuel-efficient tankers under construction at General Dynamics NASSCO‘s shipyard in Barrio Logan. The Lone Star State, a 610-foot long, 50,000-ton ECO tanker, is designed to carry oil and natural gas between American ports. Faulconer’s wife, Katherine, welded her initials into a steel plate, which was permanently fastened to the ship. To fulfill the five-tanker contract from American Petroleum Tankers, NASSCO and its subcontractors hired 300 additional workers to bring the shipyard’s workforce to 3,800 working three shifts. “NASSCO is pleased to continue our commitment as good environmental stewards by building the most energy-efficient takers in the Jones Act fleet and in helping to sustain and grow highly-skilled jobs right here in San Diego,” said Kevin Graney, vice president and general manager. Under the nearly century-old Jones Act, shipments between American ports must be on ships built in this country. The intent of the law was to preserve a national shipbuilding industry, though it has faced challenges, most recently from Sen. John McCain of Arizona. Graney took aim at critics of the Jones Act because of the importance of a shipbuilding industrial base for military preparedness. “If we allow U.S. industrial know-how, and particularly shipbuilding know-how, to be lost, where will the ships come from?” he asked. The new tanker is scheduled to be christened in the fall, about a year after construction began. 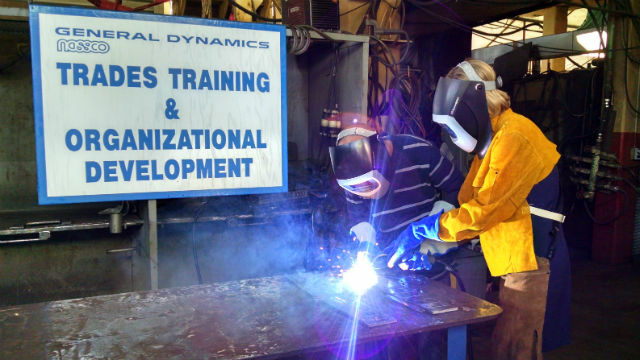 A total of six Navy and commercial ships are currently under construction in the yard.